Interview with Kaelaris: "I live my job"
I had the unique chance to interview Khaldor last week as he finally sorted out his visa and prepared for the move overseas to cast the Heroes Global Championship in Southern California. However, just as one door opens, another one closes; Khaldor is coming to finally claim his spot, but Kaelaris is unfortunately on his way out. The lovable Brit brought us plenty of laughs and epic Core rushes for the first five weeks of HGC, but for now he must part ways with HotS fans until at least the Mid-Season Brawl. Fascinated by this revolving door, I felt compelled to get both sides of the story and reached out to Kaelaris for an interview. There's lot of emotions involved in such a fond farewell, and it become quite evident during the interview that, despite his upbeat and optimistic attitude, this was goodbye (for now). We also had a chance to chat a bit about the art of commentating and leading the analyst desk as well as his deep love for Ragnaros. 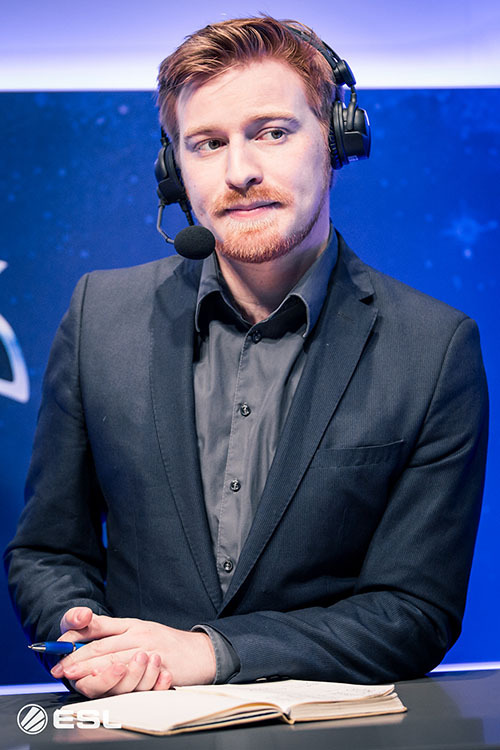 All in all, Kaelaris a pretty stand-up guy, and he will be missed. Let’s start off with how you ended up casting HGC. Obviously, you were filling in for Khaldor while he got his visa sorted out. Is there more to that story, or did Blizzard just call you up one day and ask, “Hey, can you come to the US for a few weeks and cast HGC?" Well, initially it was supposed to be just one or two weeks. Overall, it turned out that Khaldor's visa would take a little more work and time to figure out, so that turned into five weeks. But yeah, to begin with, they just reached out to my boss [at ESL] and the usual discussions happened from there for an external event. I've spent a lot of time in hotels over the now seven years doing this job, but never a full five week stint. It stirred up a lot of negative and positive emotions—from being homesick one day, to never wanting to leave the next haha. Khaldor and I talked a little bit about how the HGC production has far exceeded a lot of expectations. After being there on a day-to-day basis, what were your impressions? So being ESL, I've been involved in a lot of productions now, be it in front or behind the camera. In usual British fashion, I'm always sceptical going in and wait for results to prove themselves. Needless to say, I too was pleasantly surprised at how the first couple of weeks went. Leagues like this with usually have a one or two major technical hiccups to start, and many small ones. HGC, though, only really had a few small ones, skipping the larger ones. I think we did well to produce something that technically sound, that fast. There's always room for improvement though. I have a million and one ideas about segments, additions, etc. But I'm not there full time so...maybe one day! The crew there are a pleasure to work with. Everyone smiling and you get a real sense of family there. I felt so comfortable with them on Sundays after EU broadcast had finished, I would commandeer the conference room with our video editor Nick, and switch the screen to WWE PPVs haha. When the crew were on break, they'd come and enjoy the wrestling even though they had no clue really and were probably mocking it a little, but I don't mind that! I'll miss them dearly. I believe this is your first time casting with Trikslyr? How was that? A lot of people on Reddit and social media commented about the playful synergy between you two compared to the more “serious” attitude of other casters like Khaldor or Dreadnaught. So in terms of a long time partnership, this is the first time we've worked together so closely. However, we actually casted SC2 together five years ago! It was one or two times online for some smaller cups that were set up. So of all the people on that crew, he's the person I've known the longest! I mentioned this in a tweet at the end of last year, but I'll say it again for sake of context: I have a lot of faith in Trik's abilities to blossom. During the interview process, I had brought up his name as one of the better people to work with purely based on his outlook and personality. I've worked with a lot of people, and as such, I know what makes a good co-commentator. Attitude and personality make up a lot of that, so knowing Trikslyr has a brilliant perspective and upbeat mentality really confirmed to me that our duo would have great potential before we even stood at the desk for the first time. He may not have the technical brilliance of an international level commentator just yet, but the foundation is certainly there. He's a fast learner with a splendid ambition to improve. I'm glad the spectators and fans enjoyed our duo as much as we did. We both loved working together and were very sad when I had to leave. It's rare you find that kind of chemistry with someone in this business where it all just clicks. Hopefully we get more chance to in the near future. Ha, Dread and I are very good friends. We share intimate secrets and PIN numbers!—(not a recommended form of security). Unusual really, since we're both just pretty introverted people in real life, but we meshed well together throughout 2016. I think we understand each other very well, and as such, have a different kind of special chemistry to a conventional casting duo. When looking at it from a critical perspective, I think that our strengths and weaknesses balance out each other perfectly. My hosting and play-by-play are very strong from doing this for years, and his analysis is very strong from being an ex-player/shotcaller. That's not to say we're not confident in each others proficiency categories, but we compliment each other greatly. I don't know when or where we'll see this duo in the future, but I think we both would like to. Speaking of your hosting and play-by-play, I've always loved your role on the analyst desk throughout 2016, especially as desk host. How does that differ from casting for you? Do you prefer one role over the other? The preparation is very different when it comes to either being a commentator or desk host. I'll give you an example. So as commentator, a lot of my prep will be figuring out what teams want to play, builds they like, maps they prefer, who is playing what heroes, how they will synergise, etc. Desk host prep is figuring out what questions the panel have a good idea about, how I can weave the narrative of the tournament/teams better, what players and plays we can truly highlight, transitions in speech from break / to graphics / to games. As desk host, I take a lot more time to talk to production pre-show, take a look at all the video segments and graphics so that my lead into them is seamless. Nothing rustles me more than a host saying something like "Let's take a look at this video", or "Let's hear from them now". There are far more powerful ways to lead into content that can reinforce the message or continue a strong sense of immersion. People probably don't notice it, because I'm paying attention to my preview monitor when I do it, but as a desk host, I'm making a lot of intentional eye contact and hand gestures to the guys at the analysis desk, leading where the conversation is going and checking if others have something to continue a point on. All too often do I see desk hosts going too deep in to the analysis themselves in an attempt to...I guess "look smart"? I don't know what the reason is, but that's not why you're there! You're the enabler! I don't think anyone questions my knowledge of the game when I'm in that role, so I really try to act as the mediator to draw information from the other members of the desk. Gives it a strong structure, and I think people subconsciously appreciate that. I used to like casting more, but at the moment it's 50/50. A lot of my casting during StarCraft actually trained me to desk host, but I didn't realise it until it came time to actually host a desk. Reason being, is most of the time I would just be put alongside either an expert of ex-player, so enabling them in a duo was the same as enabling a desk. That's a lot of insight. I think the vast majority of people who watch don't realize that anything special is going on at the analyst desk at all. It's so easy from an outsider's perspective to just think, "Hey, they're just talking about the game". Yeah, it's actually a fine science that I've worked hard at. I won't say I'm anywhere near perfect, but I suppose my methods stand out more than others because I just have more experience under my belt. That and I live my job—I don't stop thinking about it 24/7 lol. You’re also one of the few Heroes of the Storm casters who still covers other esports at the highest levels (in this case, StarCraft 2. How do you manage to balance watching, playing, and commentating both games effectively? Well, I kind of summed that up: I live the job. It's a little easier for me to do multiple games because technically strong play-by-play is easier to accomplish in more titles than just one at the same time. Analysing multiple games full-time would be the hard part, but I can't say I'm doing that in SC2. Therefore, most of my time is dedicated to Heroes and being good at understanding how and why the teams are playing as they do...as well as using my play-by-play because I've done it for 1,000,000 years now. How do I balance the watching, playing and commentating? Easy, really; I have no personal life currently haha. Almost all my time is dedicated to this craft. So, be it at home or on the road, I'm either playing, watching or commentating Heroes or SC2. Then even during travel, I'm reading and studying things that can improve my job. For example, I'm reading lots of books right now to up my lore game even more—people seem to enjoy my little tid-bits in casts about that stuff! eSports has definitely hurt my personal life in the past a lot, it makes it very hard to have proper relationships because most people just don't understand the job and my passion for it, I guess. I'm probably one of the most secretly introverted people ever because people see me on cam and are like, "dude's chill!" But I don't like going outside hahaha. Back to HGC, what’s been your favorite storyline throughout HGC EU so far? There were definitely tiers that we anticipated going in to the first five weeks of HGC. While it was nice to see "The Big Three" establish themselves convincingly, and while I love my Dignitas boys, one of my most eagerly awaited matches was indeed expert vs Dignitas. Just the idea of "What if?" was really delightful. Admittedly, I'd built it up quite a bit the few weeks before (narrative is our job! imagine that!). So expert was definitely one of them. I'm certain in a few months' time they'll start rivaling those top three spots in an even stronger fashion as long as they continue to have good friendship and synergy within the team. I also really enjoyed watching the progression of Playing Ducks and Tricked eSport. They're another two teams that can only grow stronger with time. Goes to show how deep the quality is in Europe. Happy to see Sportbilly playing so well on Falstad and Medivh as well. It can be a treat to watch, considering their position in the league. Do you think that EU is flat out better than NA at the moment, or do you think that the competition at the Western Clash will be close? What about the matchup between EU and KR? Half the time, I give a troll answer to this, but I'll be serious for a moment. NA was in a really odd spot for a long time. I think ever since the era of Tempo Storm and Cloud9 [in 2015], the skill level of the region fell relative to the rest of the world. I can't pinpoint what it is exactly, but watching HGC NA, my fears for them are drafting patterns and also synergy within the game. None of the teams really show the same level of coordination that we see out of "The Big Three" in Europe right now. I'm not saying they're bad, I just don't know if they can match up, especially against Misfits and Fnatic, whose power levels are very strong right now. NA can upset at the Western Clash, though. Team 8 showed promise like I would have never imagined, and in a month or two, they could easily be number one in America if they continue down that path. Overall though, I'm expecting an EU first, second and third victory unless some upsets happen, which they could. NA isn't that far behind, just need to tighten the play. As for EU vs KR? I think right now there is still a clear number one in the world, and that's L5 (previously Ballistix). I hear a lot of opinion about MVP Black being number two in the world, but honestly, I think that title is currently up for debate. Fnatic proved that they weren't invincible at BlizzCon (admittedly, I don't think Black were playing to true potency in that series). We'll see how the new MVP Black roster stacks up against EU come the Mid-Season Brawl. If Fnatic could cause that upset in 2016, who is to say Misfits couldn't also play at that scale? Well, it's unfortunate to watch you leave; we’re definitely sad to see you go. It’s been a wonderful five weeks watching you cast HGC. What are your plans from here? Thank you, truly. For me, the five weeks doing HGC were a fantastic time. I feel like I'm meant to be there, despite negotiations in 2016 not going the way I wanted them to. Business is business. That being said, I want to be back to doing Heroes ASAP, specifically the HGC. I feel like I can contribute and channel all my energy into that project to make it the great thing we want it to be. I hope I get that opportunity one day, because my mind overflows with ideas for Heroes, as I love this game. 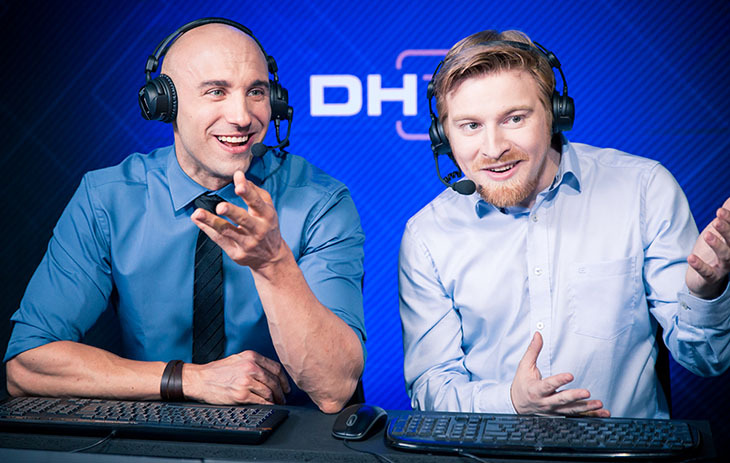 The European casting titans Khaldor and Kaelaris at DreamHack Valencia. 2017 so far is partially planned out. I know more SC2 stuff for me is on the horizon currently, with who knows what other projects/games that may come along. I'm speaking to a few other devs/publishers about their endeavours into esports with new titles currently. I'm very thankful for my own drive in this space, and especially thankful for how easy it felt to just do any game I wanted to. I think being a gamer who played everything since I was very young left me with a good mindset for adaptation. Thanks Dehaka! TL;DR wanna do all things Heroes, give me Heroes, Ragnaros is Bae. All hail the Firelord. Get off Sulfuras, you dirty insect. Thanks for doing the interview with me! Always happy to give my thoughts. Thanks to Blizzard for bringing me out to do HGC, I adored my time there. Shoutout to my mum because I know she reads and watches everything I do haha—love you, mum. 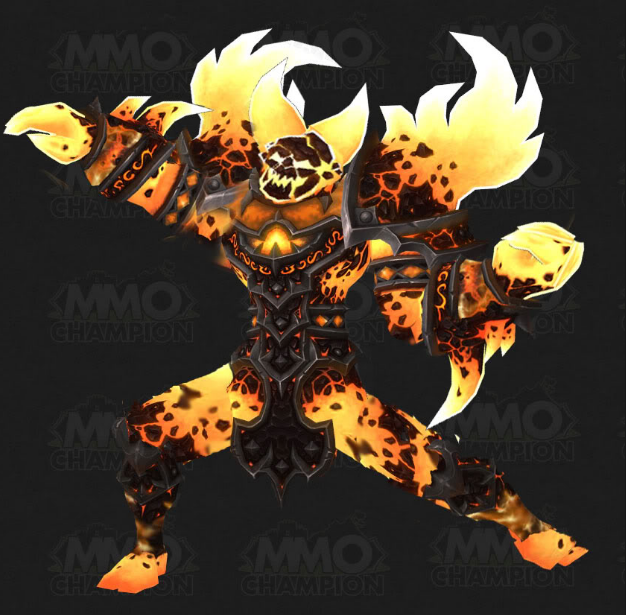 And shoutouts to Blizzard again for not giving Ragnaros the Heroic Firelands legs, because that was the worst thing that happened to Ragnaros ever, and I would die a little bit inside if I had to play my bae with legs :D.
A million thanks to Kaelaris for casting the Heroes Global Championship these last few weeks! 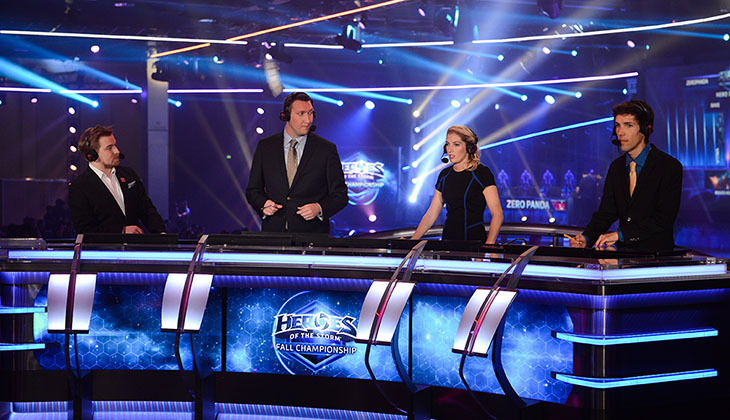 We will miss you dearly on the weekly cast, but we look forward to your return to HGC at some point in the future! Absolutely fantastic interview. Thank you!